Next Trail Workday: March 10 – Join Us! Please join us for two trail workdays and help make Elkin trails happen! Meet at Elkin Municipal Park parking lot on the right-hand side of the Recreation Center at 8:45. We will leave promptly at 9am and will carpool/shuttle to a nearby access point of the future E & A Rail Trail, and will be clearing a portion of the old E & A railbed. Please don’t be late or you’ll miss the shuttle! Sandwiches are being donated by 21 & Main for all our volunteers…thanks Jeff, Erika and Staff! So please reply to myfrienddenise@gmail.com if you plan to attend the workday so that we may get a head-count for sandwiches and shuttles to the site. Meet at Crater Park in Downtown Elkin along the Yadkin River at 9 am. We will be clearing in preparation for the riverfront campsite for Yadkin River Trail users, and for a riverfront section of trail. What to bring…don’t stay home if all you have is your hands! Gloves, loppers, rake, shovel, maddox, chainsaw, wheelbarrow, other small gardening/landscaping tools, small first aid kit. Wear boots or shoes and clothing that you don’t mind getting dirty, and be prepared for weather. Be sure to hydrate…bring water and food if needed. ← What’s all this talk about a trail from Elkin to Stone Mountain? 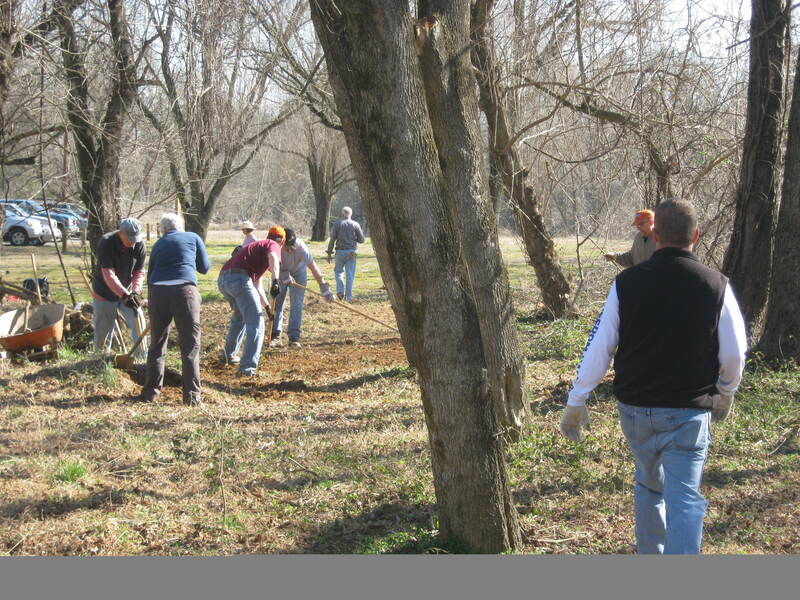 Home » Next Trail Workday: March 10 – Join Us!